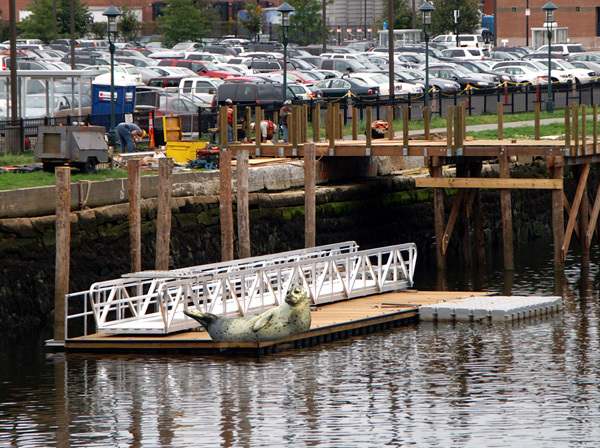 Fort Point Pier: A respite in Boston for harbor seals. 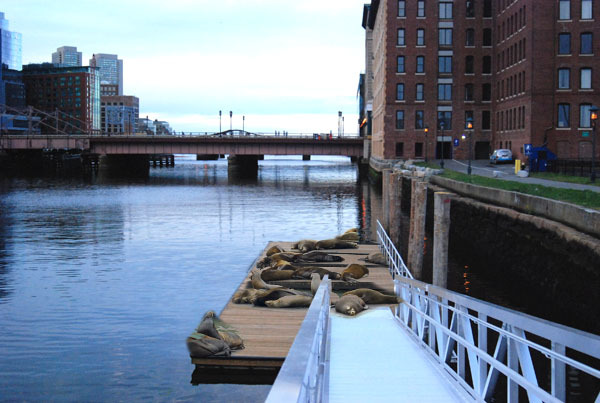 Win a FREE Kayalite® kayak kight, invented, patented and manufactured in Fort Point, Boston! 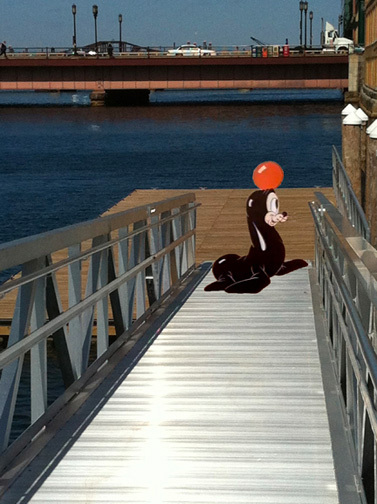 As depicted in the imaginary photo below, we're predicting that harbor seals will find a sunny respite from Boston Harbor waters on the dock at Fort Point Pier. 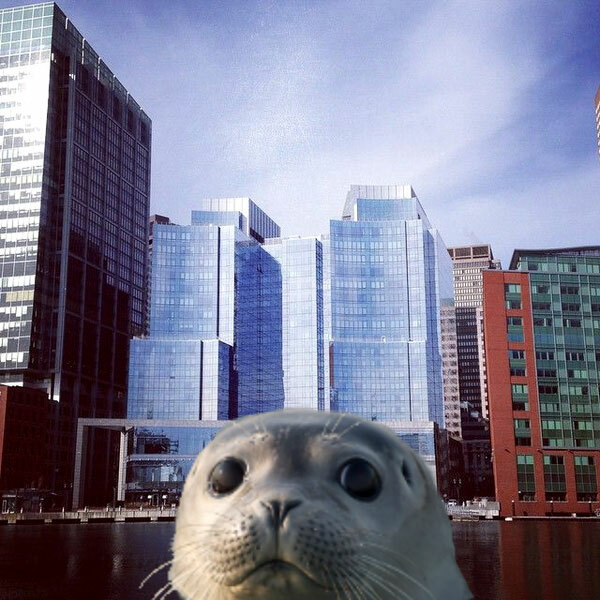 Over the past decade, harbor seal sightings in Fort Point Channel have been increasing in regularity. CONTEST RULES: If you e-mail us the first real, independently confirmed image of a harbor seal basking on the dock at Fort Point Pier, we'll send you a FREE Kayalu Kayalite® kayak light ($49.95 value). 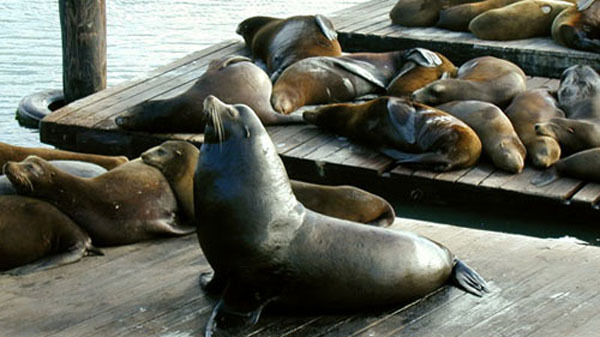 Please note "SEAL SIGHTING CONTEST" in your e-mail subject line. If you'd prefer not to send a hires image by e-mail, upload the image to Imgur through your web browser and send us the link. We'll include a photo credit if we publish your images on the Fort Point Pier site. NOTE: Our confirmation of independent sighting will consider multiple photographs of a single event, photographed from two or more perspectives, submitted by one source (contest entrant) or multiple sources. no Fort Point Pier in photo, no Kayalite! Contest Status: stunning image, unconfirmed sighting, no Kayalite! Contest Status: very creative, unconfirmed sighting, no Kayalite!